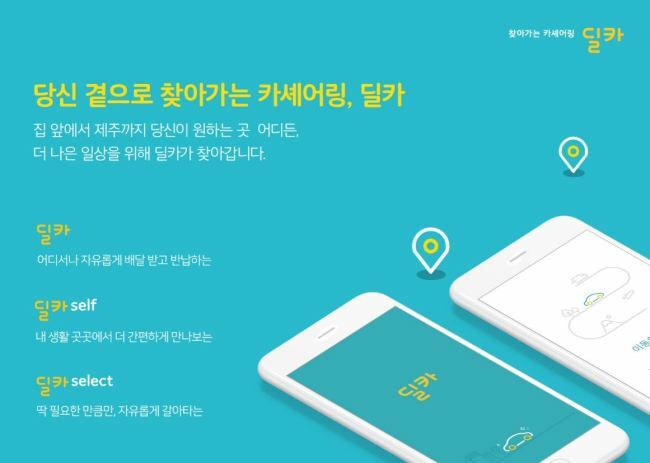 Hyundai Capital said Wednesday it has officially launched its car sharing platform Delivery Car on Dec. 7 after running a beta service since September last year. The platform allows customers to have vehicles delivered at a time and place of their choice and to return the car at any location of their choice. The company has partnered with some 200 small and midsized rental car companies nationwide for the service. Since running the beta service, the company has made significant improvements in service quality and consumer convenience as well as the types of vehicles available for rent, it said. To further improve car deliveries, the company has compiled data during the test period to better predict demand and supply. This includes pre-sending delivery notifications to drivers located within the shortest distance in an effort to shorten the delivery time. It has also introduced a system to reimburse consumers in the event that there are delays in car deliveries. The platform’s operating hours have also been expanded from between 9 a.m. and 9 p.m. to between 8 a.m. and 10 p.m. Rented vehicles can be returned 24 hours. In addition, the types of cars offered for rental have been diversified, including premium Genesis models of Hyundai and Kia’s K9. “Delivery Car is a platform-based model that we created together with small and midsized rental car companies. … We plan to actively take advantage of the platform, establish a win-win business model in the mobility market and continue to work with SMEs,” said an official of the company.